Detail:This vigorous scrub stimulates healthy circulation while thoroughly exfoliating and polishing off dead, devitalized skin. These salts are infused with Rosemary, Lemon Peel and Safflower Seed oil. Rosemary and Lemon Peel act as natural astringents promoting a healthy glow and Safflower Seed oil helps to smooth and soften dry, tired skin. 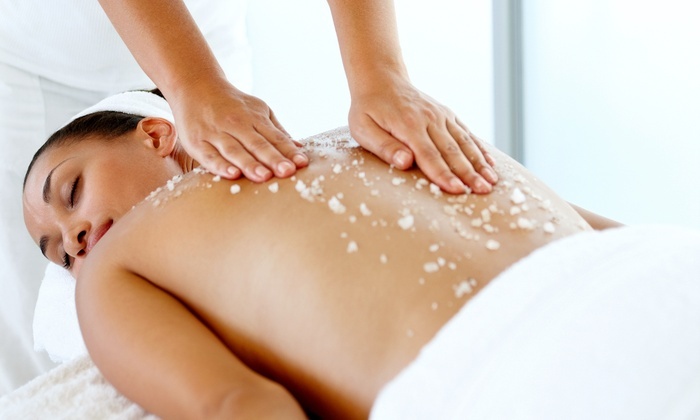 This invigorating treatment is followed by an application of Deep Forest Oil. Contraindications: Pregnancy, Sensitive skin, Open Cuts, Shaving or waxing is not recommended the day of the service.